tl;dr: Your customers want to use messaging to communicate with you. Here’s how to leverage this valuable channel to improve the customer experience and drive more sales. These days, everyone wants to communicate via text messaging. It’s quick, less disruptive, and allows people to send a message whenever it is convenient. Today, the average adult exchanges more than 85 texts each day, and 89% of Americans prefer text messaging to phone calls. So it should come as no surprise that this preference extends to the businesses that consumers deal with. What this tells us is that two-way messaging can improve the customer experience through conversations that occur throughout the customer lifecycle. Furthermore, when you have two-way conversations with your clients using messaging, you’re provided a rich history of your customers’ habits, likes and wants that can be easily accessed. 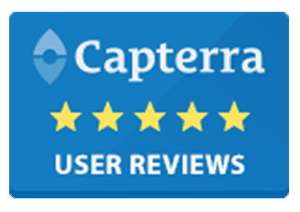 This allows you to instantly know a client’s preferences and provide an exceptional customer experience during an appointment. Today’s modern POS and booking platforms are no longer stand-alone systems. 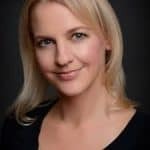 Rather, they are fully integrated with client records which enables businesses to send automated text messages based on triggers. Upcoming appointments: A missed appointment is lost revenue and can be a significant cost to a services business. The most common reason for no-shows: too much time between scheduling and the appointment. 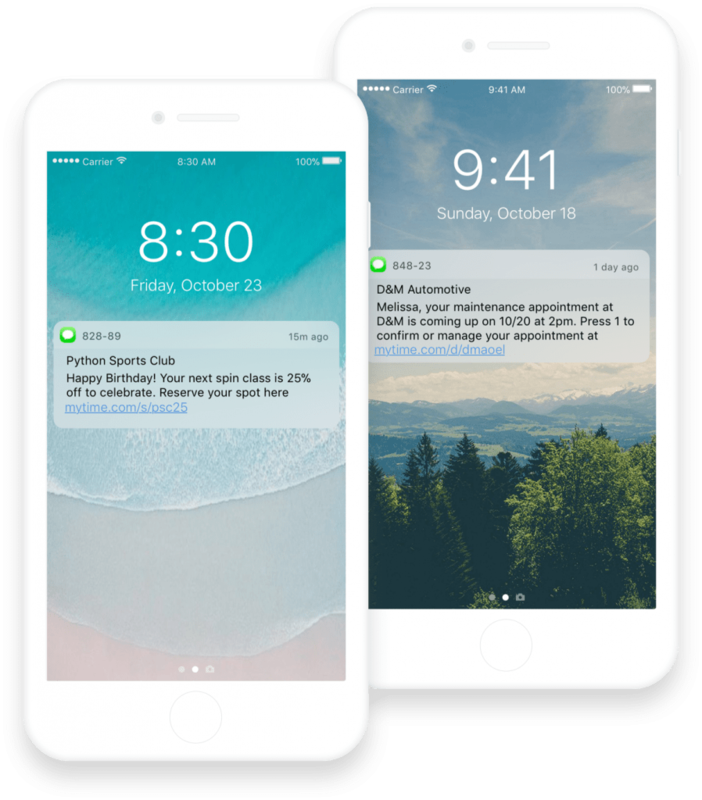 Automated text appointment reminders and confirmations triggered shortly before a scheduled appointment reduces no-shows by up to 85%. Overdue appointments: The best way to increase revenue is through your existing customer base. Even loyal clients lapse in making their regular appointment on a timely basis. “Time for your next appointment” triggers have been shown to increase visit frequency by 30%, dramatically increasing revenue per customer for both services and related products. Birthdays: Remember the hubbub that ensued when Starbucks changed the redemption time of it’s birthday reward? Well, that’s because these programs work. People love birthday promotions because they are personal, meant just for them, and are a surefire way to create customer loyalty. What this tells us is that in some circumstances, text messaging can be a more effective and higher converting marketing channel than email. But how do you determine which messaging campaigns create a good customer experience? It comes down to three factors. If your promotion is able to create a sense of urgency, is relevant to the person receiving it, and can be easily acted upon, then you should probably consider messaging rather than email as your delivery channel. Create urgency: Determine what days are slow. Then take it a step further and determine which individual staff members are open and which services are typically high demand. Make it relevant: Segment your customer list and create promotions and incentives based on the services or providers they typically book. 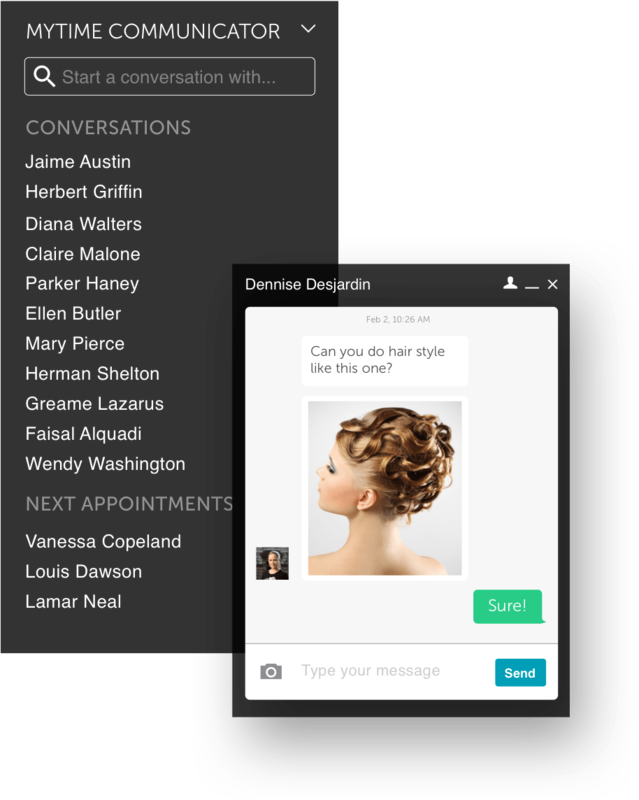 Make it actionable: Enable customers to redeem and book that appointment right away from their phone from a link provided within the message. And remember, you have a captive 1:1 audience, so don’t close it down with one-way text. 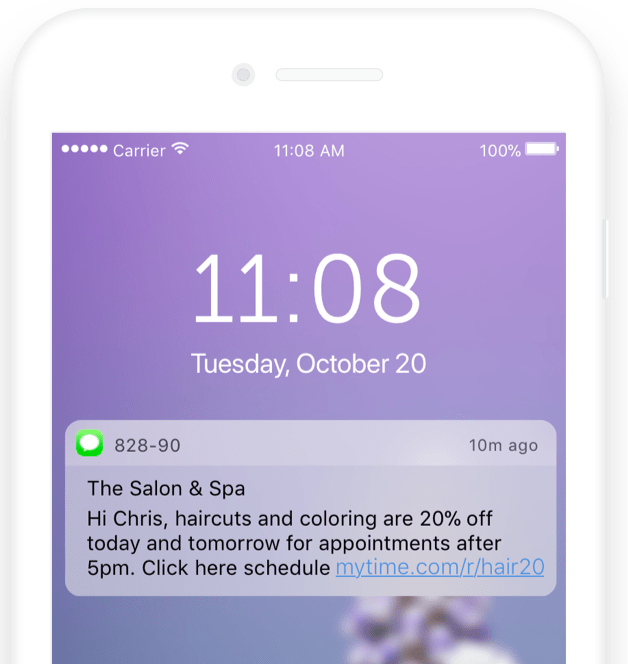 Quick back and forth messaging can mean the difference between a booked appointment and a deleted text. We know from both research and personal experience that messaging can have a positive impact on the customer experience. But does that translate into increased sales for service-based businesses? According to research firm Medallia Institute, for transaction based business, both goods and services, customers who had the best past experiences spend 140% more compared to those who had the poorest past experience. 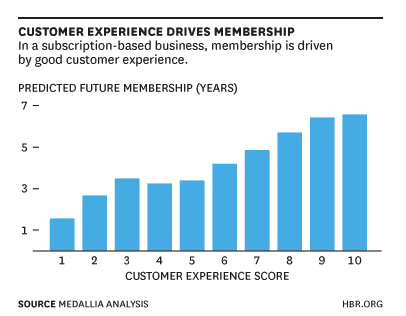 The results for membership-based business – which is a great way for service-based businesses to gain predictable revenue – are equally impressive. A member who has a poor experience has only a 43% chance of being a member a year later compared to 74% for members who have great experiences. Real-time messaging improves the customer experience. 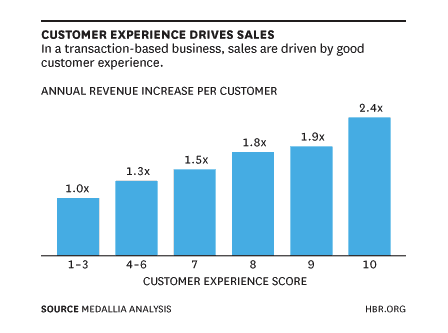 A better customer experience gives you a quantifiable increase in sales. So, if you’re not leveraging this valuable channel, you’re leaving money on the table. Sign up now to get a live demo of the MyTime solution and see how an integrated scheduling, POS, and messaging solution can help your business stand out!